ALL auditions are to be submitted electronically (on our website) and MUST BE RECEIVED BY SEPTEMBER 8th by 5pm. (NO auditions will be accepted by mail.) Judging will take place on September 12th. Results will be posted to the website on September 14th. Please read directions on audition forms carefully. Postmark for teacher/director pre-registration (required for ALL teachers/directors with students selected for an honor choir) is Sept 25. Postmark for registration materials for selected students (sent by teacher/director) is Oct 2 (received by Oct 9). All-State students register between 5:00 and 6:00 PM on Thursday, October 22, 2015 (see registration times on acceptance sheets), and participate in an evening of note check rehearsals. Reading sessions, interest sessions, concert performances and rehearsals with the All-State conductors begin on Friday morning, October 23, 2014. 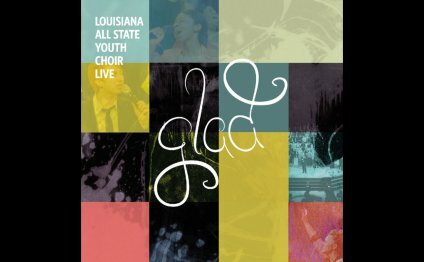 The conference will conclude with performances on Saturday, October 24, 2014, by the Children’s All-State Choir at 2:15 p.m., Youth Treble All-State Choir at 3:15 p.m., Youth Mixed All-State Choir at 3:45p p.m., Men’s All-State Choir at 4:30 p.m., and Women’s All State Choirs at 5:00 p.m. at the Jefferson Performing Arts Center. *Intercollegiate Honor Choir concert will be held at 7:00 p.m. on Friday, October 23th at St. Louis Cathedral in the French Quarter.